Recently, a few customers reported “issues” with Dropbox automatically updating itself and causing havoc when running under AlwaysUp in their 24×7 environments. Apparently the auto-upgrade would restart Dropbox outside of AlwaysUp and that unmanaged instance would prevent AlwaysUp from starting a new copy under its control. The result was hundreds of Explorer windows open on the screen — a great experience! Our first instinct was to turn off automatic updates, which are usually a bad idea in a controlled, 24×7 environment anyway. Unfortunately Dropbox does not allow that. Auto-updates are totally managed by Dropbox and there are no exposed options for adjusting the behavior. The lack of controls thwarted our second brilliant idea as well — scheduling auto-upgrades for a specific time each day/week/month. Apparently changes can take place at any time, at the program’s discretion. Again, not suitable in a managed environment. So time to do some reverse engineering! First, Dropbox.exe launched dropbox-upgrade-2.8.2.exe, which it must have silently downloaded into the private cache folder (C:\Users\<UserName>\AppData\Roaming\Dropbox\.dropbox-cache). A few seconds later, the update program spawned a second copy of Dropbox.exe, passing the ominous /killeveryone flag. 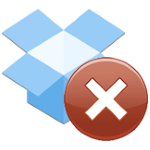 Next, all instances of Dropbox subsequently shut down (including the one managed by AlwaysUp), and the updater launched a new copy of Dropbox before it too exited. Notice the peculiar command line arguments. Now Dropbox abhors multiple instances, so after a few seconds the AlwaysUp-controlled instance exits — but not before throwing up an Explorer window browsing the Dropbox folder. AlwaysUp, persistent fellow that it is, detects that Dropbox has once again exited, starts it up again and the whole process repeats. It is easy to see that if left unchecked, we may end up with hundreds of redundant Explorer windows! Click over to the Startup tab. Check the Also run it whenever the application is restarted box as well. These changes will cause AlwaysUp to close all running instances of Dropbox before starting the one that it will monitor. Select the After option and enter 5 minutes in the adjacent field. Click the Save >> button to record your settings. That’s it! The next time Dropbox decides to automatically update itself, AlwaysUp will quickly bring it back under control — for continued 24×7 operation. My Dropbox Windows Service no longer works after Updating Dropbox – Help! We have this exact issue. Your solution works fine when there’s only one instance of Dropbox being managed by AlwaysUp, however our scenario has multiple instances of Dropbox (each running under a different local user account), which means taskkill /f /im “dropbox.exe” in your script will kill all instances running regardless of whether they’re the restarted instance following upgrade, or a pre-existing instance being managed by AlwaysUp. Do you have a solution where multiple Dropbox instances are running under AlwaysUp control, and one or more may randomly upgrade? UPDATE: Have created the following script to target processes by username only. Hence the only limit that remains with process-kill.bat is where the same image is running multiple times under the same account. 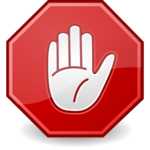 If you want to block the Dropbox auto upgrades, it can be done with security policies that block the execution of the upgrade. Please see Stefan F’s solution here. Dropbox almost always installs new version to different folder. Today it was Dropbox\Client_21.4.25. Always up was pointed to the Dropbox\Client folder which no longer had the executable. Any ideas? Unfortunately the folks at Dropbox no longer maintain a coherent change log, so it’s difficult to tell if including the version number in the installation folder was a bad idea that came and quickly went! This page provides what little information we have on Dropbox client builds. Please let us know if you see Dropbox installing to a non-standard folder again.